We were only 1 day in San Marino that is completely surrounded by Italy. San Marino is said to be the oldest republic in the world after it was founded in 301 AD. by Saint Marinus. It also has the oldest constitution still in force, dating back to 1600. The man who helped building the Italian unity, Garibaldi, took refuge here and as a thank you the country could remain independent. We were curious about this miniature state of 60 km² but we could not find a parking place anywhere to have a look around and so we only saw it from the car. 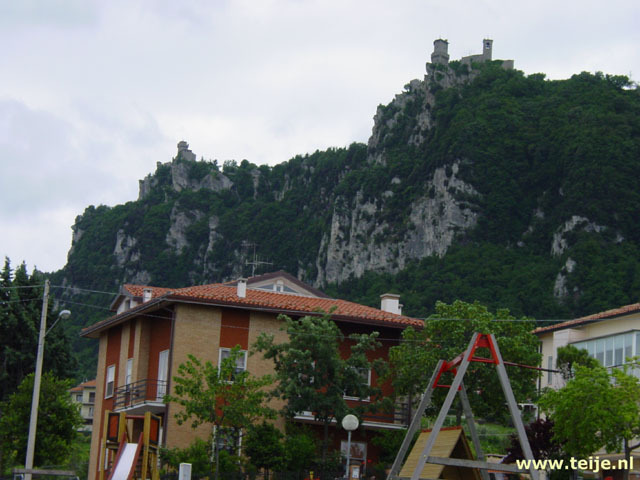 Here are our travelogue(s), photographs, online jigsaw puzzles of travel pictures and information about San Marino.